thank you very much for your nice wishes to my Birthday. You made a smile on my face. I have something for you :-) ... Enjoy the fun! This time you will need some buttons. Oooh, I hear you - what's surprise - the buttons, really ? :-) You know, I am just mad about the buttons! As common I have a tip for you: I found alternative material as Catania is and this yarn is named Miami by Red Heart. This is exactly same yarn as Catania. Or you could use your favorite material - it is up to you. But please remember, if you will use another material, the final creation will looks little bit different. Are you ready? Because I am :-) ! Note: The main part of the pattern is same for all variation. End the work after round 115. You will have prepared main part of the decoration. You will not fill it by toy filling, it will stay empty. 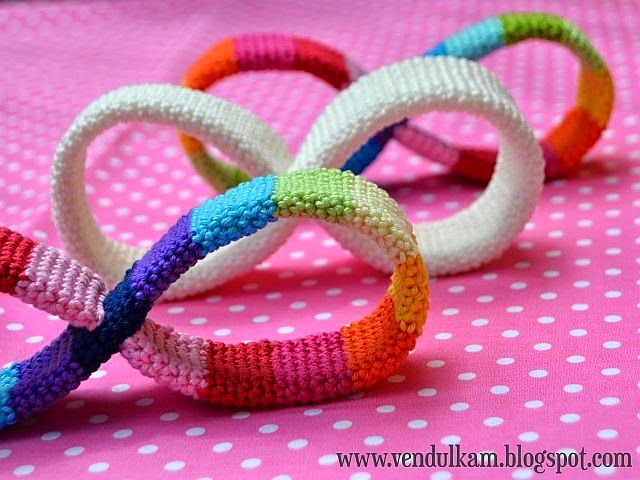 Now make infinity shape, work thoroughly with your fingers and shape it nicely. Then sew it together as you could see on the pictures bellow. 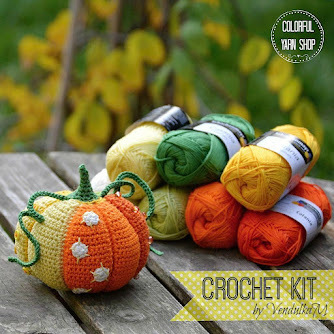 Make tiny stitches. Insert the needle only in the upper threads of the edge. And you will not sew through all piece. Mark the middle of main part of work with the pin a sew it straight on this line. Now you will sew it in back part again. 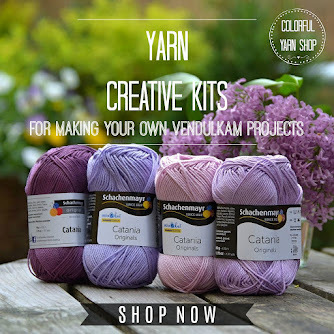 Make tiny stitches. Sew straight. Mark the work by pin in the middle again, sew straight to your infiniy decoration will look symmetrically. 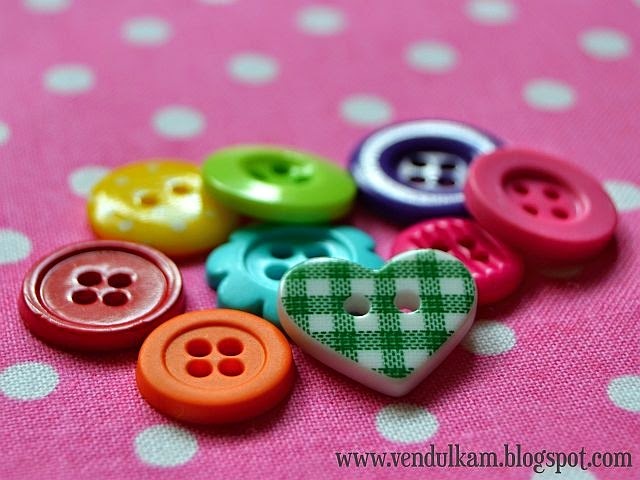 Take some buttons in rainbow colors and sew them on the main part. 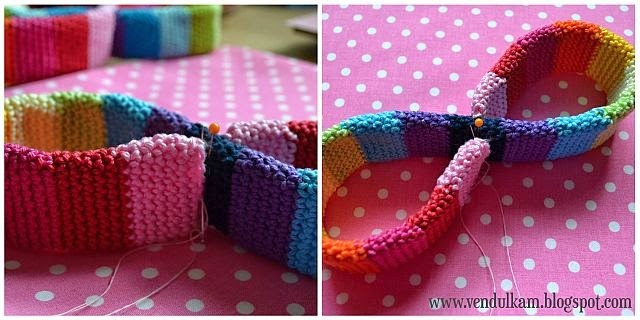 Neaten free threads by hook inside the work. 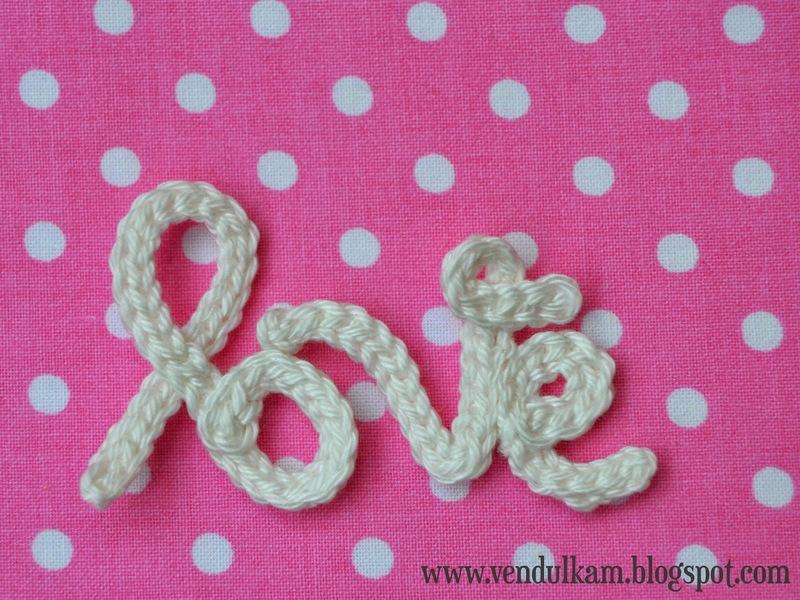 Letter l + o: make 40 CH, insert hook in second stitch from the hook and crochet 1 SlSt in next 39 stitches, end the work. 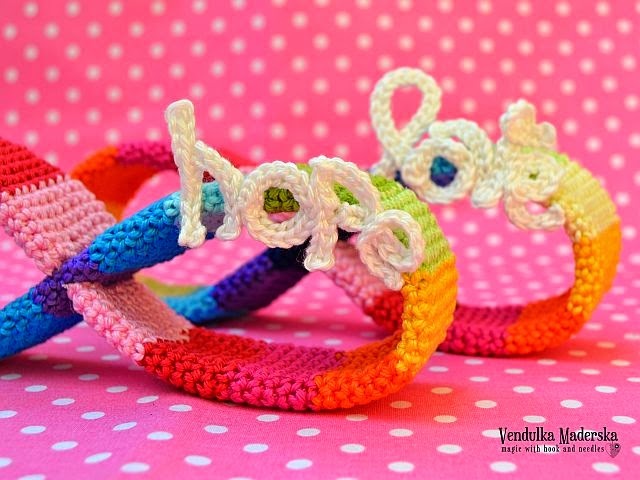 Letter v: make 28 CH, insert hook in second stitch from the hook and crochet 1 SlSt in next 27 stitches, end the work. 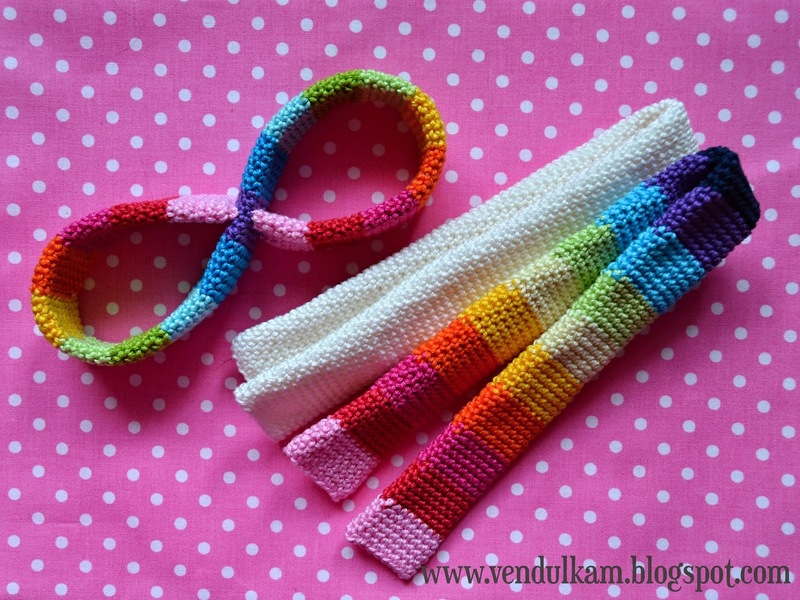 Letter e: make 16 CH, insert hook in second stitch from the hook and crochet 1 SlSt in next 15 stitches, end the work. Now shape the letters. Use pins. 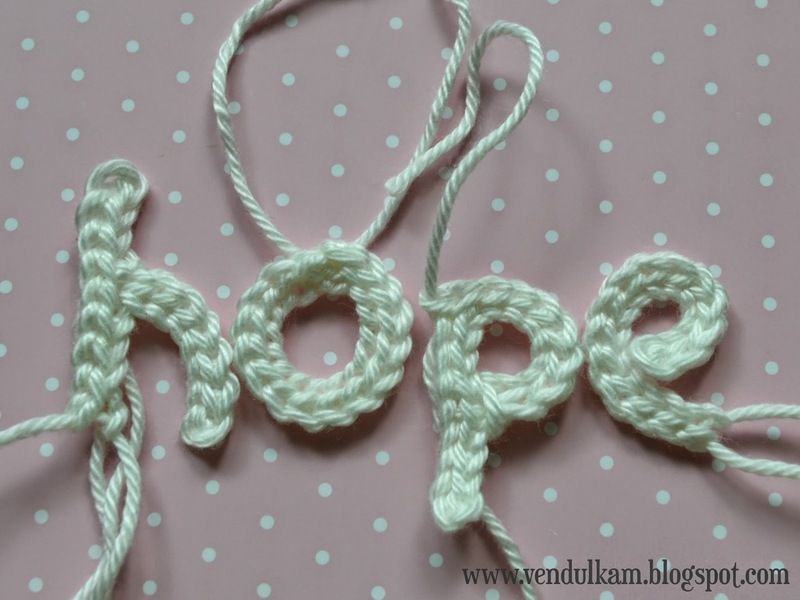 When you will be satisfied with the shape of the letters, use beige common sewing thread and sew them. 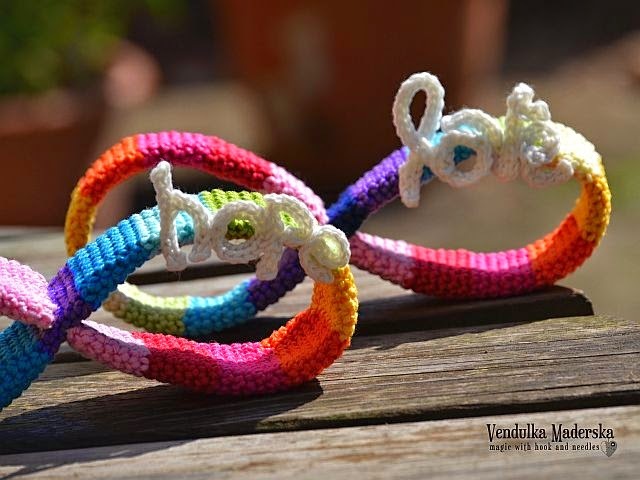 Then join the letters together and "write" the word: love :-) Make tiny stitches on the reverse side of the letters. 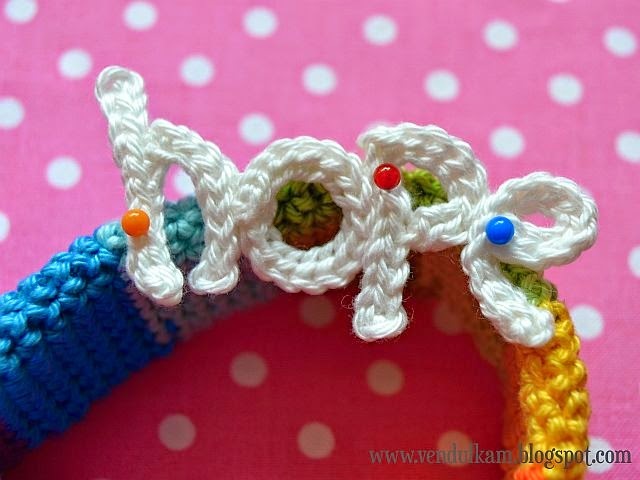 Remember please, that the reverse sides of letters will be visible, so make tiny stitches and try to sew it nicely. 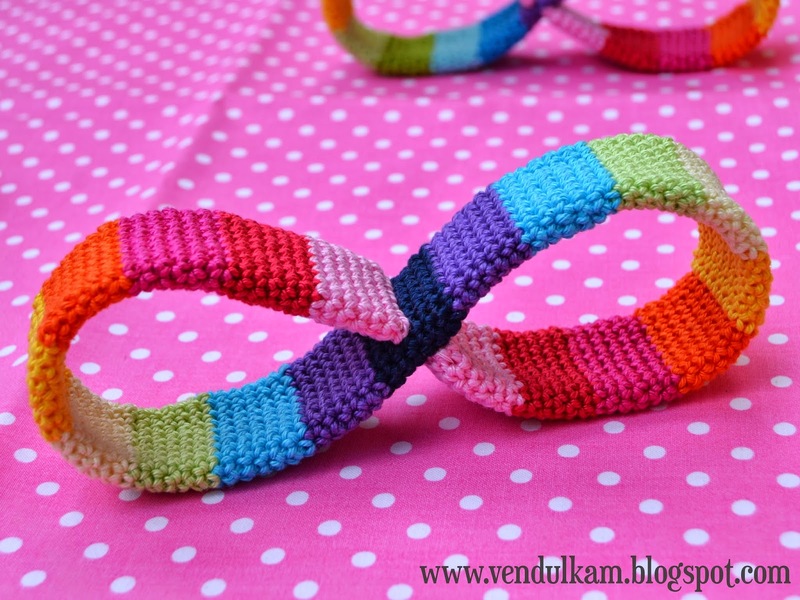 And now a little bit challenge :-) Take the needle and common sewing beige thread and sew the word on the infinity symbol. Make tiny stitches, work slowly and thoroughly. 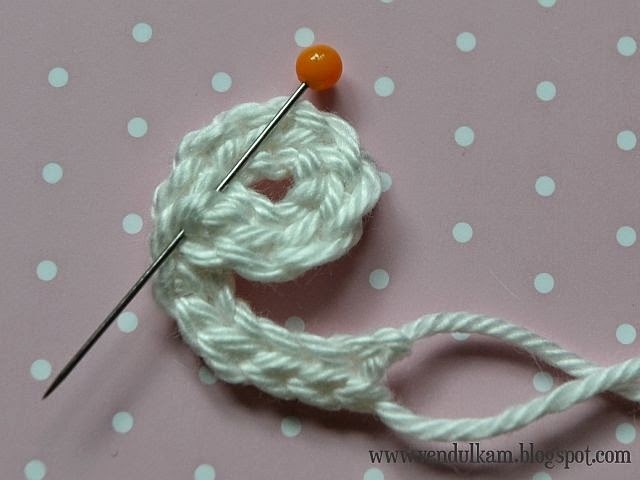 Row 1: make 10 CH, insert hook in second stitch from the hook and crochet 1 SlSt in next 9 stitches (9 SC), end the work. 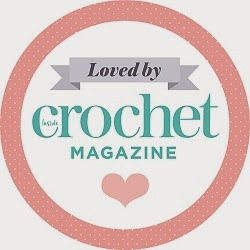 Row 2: insert hook in sixth stitch from the end and crochet 8 CH. 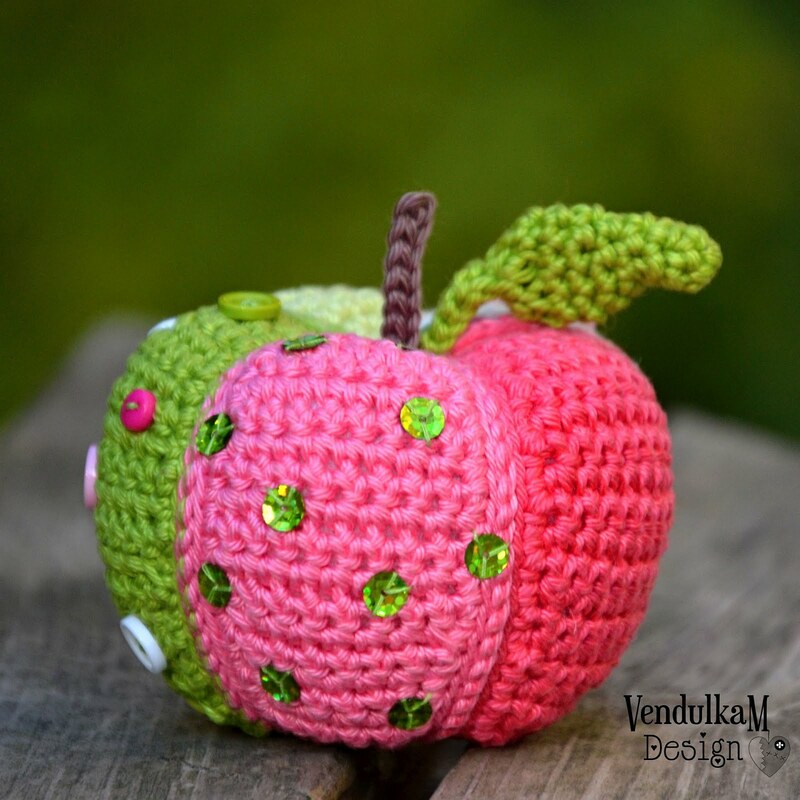 Insert hook in second stitch from the hook and crochet 1 SlSt in next 7 stitches. 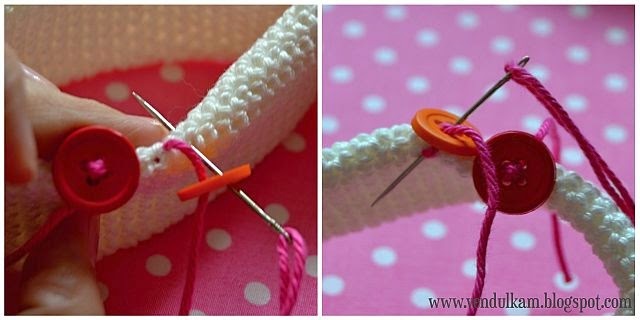 Insert hook in same stitch as at the beginning of this row and make 1 SlSt, end the work. 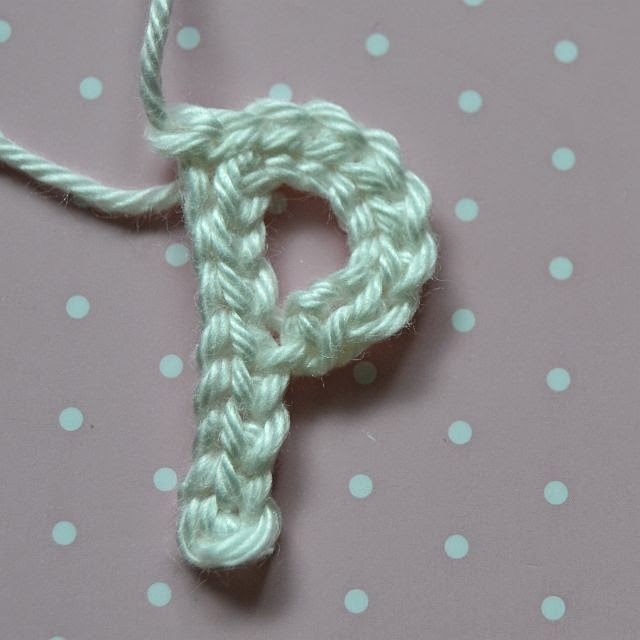 Letter o: make 17 CH, insert hook in second stitch from the hook and crochet 1 SlSt in next 16 stitches. Join first stitch with 1 SlSt, end the work. Row 1: make 9 CH, insert hook in second stitch from the hook and crochet 1 SlSt in next 8 stitches. 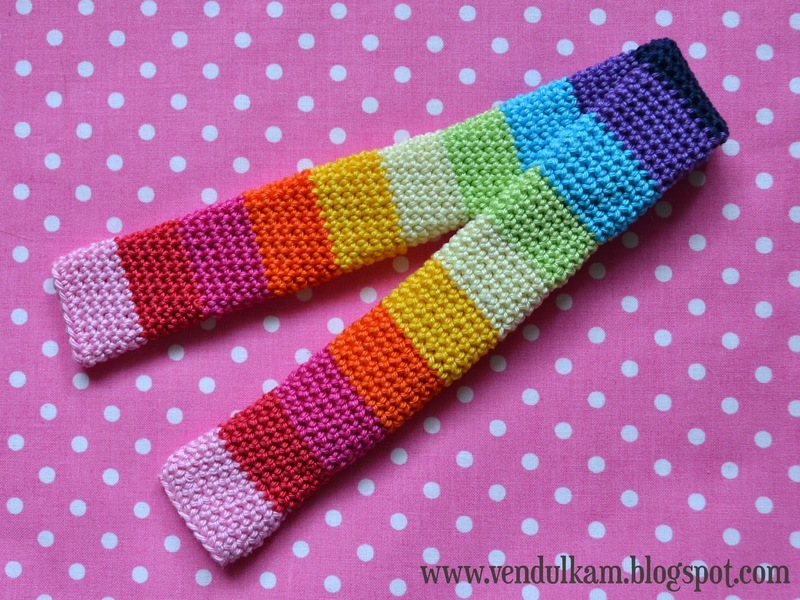 Row 2: Make 7 CH, insert hook in fourth stitch of row 1 and crochet 1 SlSt. Then turn the work and crochet 1 SlSt in every stitch of row 2. End the work. 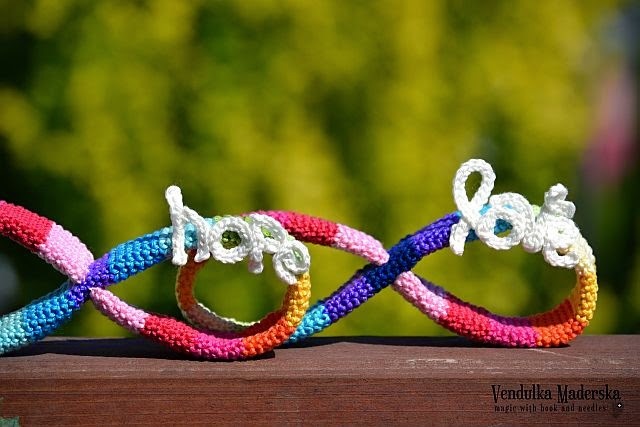 Sew the letters together, using beige common sewing thread. Neaten free threads. 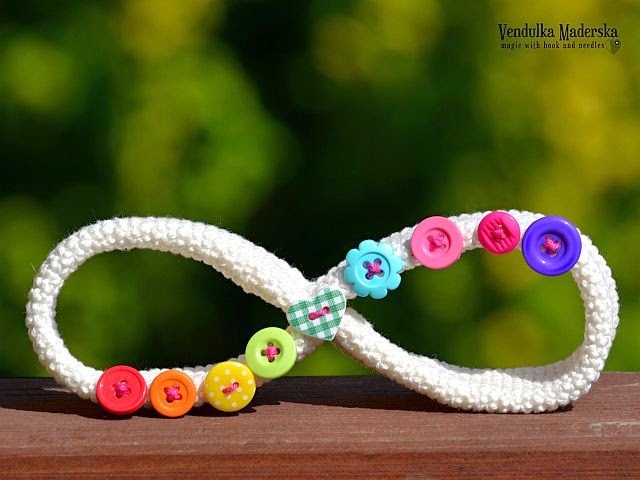 Pin the word on the infinity decoration and sew it. Work slowly, thoroughly, use tiny stitches. 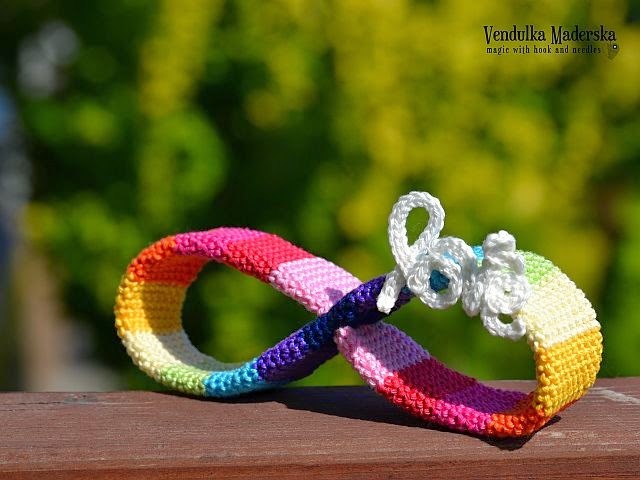 Loved the crochet words) Thank you Vendulka.